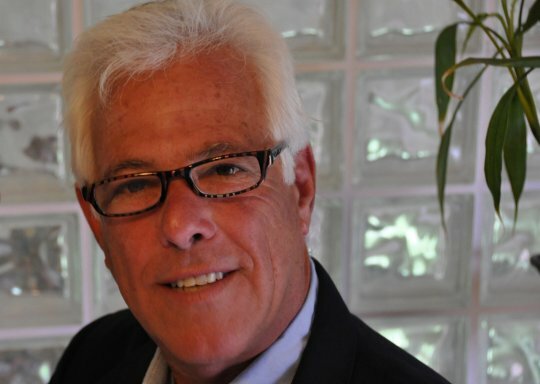 Larry Stein has been an important part of the Young Audiences Arts for Learning network for over 30 years. In his last role, as the lead Residency designer for national YA’s Arts for Learning Lessons program, Larry developed and facilitated professional development for teaching artists. Larry has always been involved in the arts. After earning degrees from the University of Buffalo and California Institute of the Arts, he began his career with Young Audiences as a musician and teaching artist for the West coast affiliates. Larry has performed in major venues in the U.S. including the Kennedy Center, Carnegie Recital Hall, and the Los Angeles Music Center, and throughout Germany. Larry announced his retirement last April and I had the opportunity to talk with him and learn more about his work with hundreds of YA artists and ensembles, affiliate program staff and board members. Young Audiences: You began working with Young Audiences Arts for Learning (YA) as a teaching artist in California; could you tell me how you heard about YA and also tell me about your work as a teaching artist? Larry Stein: In the fall of 1972, I had just moved to California to become a graduate student at CalArts where I was going to be studying percussion, composition and world music.  I was contacted to work with Young Audiences which was implementing a program funded by the Ford Foundation. 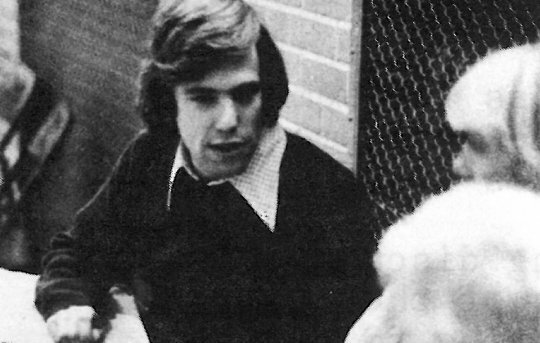 To make a long story short, I ended up working in Bakersfield, California at the recommendation of Richard Stoltzman. Young Audiences of Kern County was developing some innovative programs and I started doing solo percussion in the summer of 1973. I also developed a percussion ensemble and we started doing programs for the other California affiliates. YA: Could you tell me about the Sound Idea program? Stein: Created in the late 1970s, the Sound Idea was an off-shoot of my percussion ensemble. The Sound Idea was unique because it was specifically developed for arts education in schools, but the concept wasn’t mine; composers like John Cage and Lou Harrison had been creating a lot of avant-garde music using found objects and alternative materials as instruments. These alternative instruments were very accessible for the students because of their low cost--traditional instruments like the Marimba can cost upwards of $30,000! With fellow ensemble member Gregg Johnson, we created the Sound Idea--a program that didn’t use any store-bought instruments. The over-arching theme of the Sound Idea is that all music is really nothing more than sounds that are organized by a concept. When we played at a school, the kids were so quick to pick up music with these instruments. By the end of the 45-minute program, all the kids would be up on the stage participating with the ensemble – conducting and playing music which they had helped compose. At the time, it was one of the most popular YA programs and I traveled around the country offering the program to other affiliates. YA: You were a forerunner in professional development for YA teaching artists and program staff members. How has your role in professional development changed since your first program? Stein: The professional development focused on helping affiliate teaching artists create more interactive residency programs for their students. The interaction encouraged students to develop their own creative thinking skills and to fully participate in the program and not be simply observers or passive listeners. We also sought out other highly talented artists who worked in theater, dance and music and developed training sessions for them. In addition, we also began organizing and leading annual regional professional development convocations hosted by a YA affiliate. I guess these were really early versions of our MetLife professional development programs that we have been doing for the past few years. YA: In your current role, you are the lead residency designer for the National office, can you tell me about the MetLife Learning for Life project? Stein: MetLife Learning for Life is based on some of the original program concepts that got me going, to guide the participants whether they were teachers, students or other artists to think about how they could best express themselves. Each residency program focuses on helping middle school kids tap into their own interests in diverse subjects such as the environment, nutrition, and the media. The MetLife Learning for Life project includes intensive workshops and performances that foster student engagement, inspire exploration to solve challenging problems and nurture the creative spirit. I encouraged the teaching artists and students to end each residency with a culminating event for the school that featured an artistic activity involving all the students who had participated in the residency. YA: Along with your work in professional development, you also guided Young Audiences as it evolved with technology. Could you tell me more about that? Stein: YA saw the power of video (VHS) early on and realized how it could be applied to professional development. We would show teaching artists videos of their performances to help them analyze their strengths and weaknesses. Years later, in the YA network, I was considered an ambassador of digital interactive video. I incorporated videos of many YA teaching artists into one of the first versions of the Young Audiences web site. The on-line user could type in a question and would see a specific pre-recorded video answer. The Meet the Artists interactive video on YA’s web site was ground breaking at the time it launched. I always had an interest in technology; as a kid I would build instruments and my own music synthesizers. Technology and music are intertwined and it is a similar thought process-- like building one of the old YA websites was in a sense a multimedia version of music composition. YA: Larry, thank you for all your years of hard work and dedication! You have had a significant impact on a generation of YA artists and ensembles and the field of arts in education. We will miss working with you. 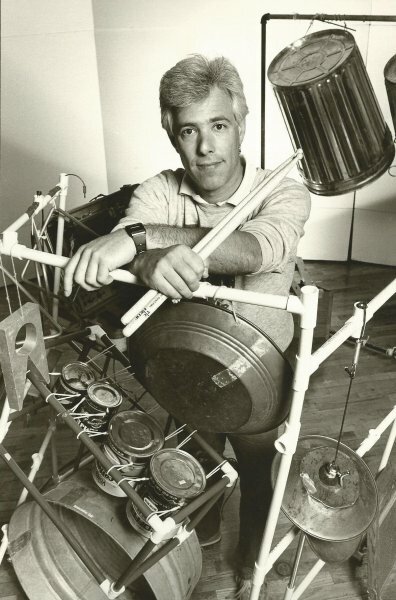 Larry Stein with his found object drum set.